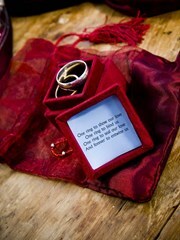 Finally our Medieval meets Doctor Who Castle Wedding!!Pics!! Proper vintage bride and groom cake toppers? Has anyone bought a Dolly Couture dress? Candy Anthony Dress Wobbles....will they change it? What makes your wedding unconventional or alternative? Dress fitting tonight - I'm SO worried! 50s brides take a look! A self-pitying rant - sorry!! Help! Having minor panic about headband - Now with pictures! no bouquet or hands-free bride? When are you giving a present (if any) to h2b?